Kevin: Some months ago, I told you about a website called Property Whispers. Just to refresh your memory, Property Whispers is Australia’s first and only online website that instantly matches a buyer’s purchase requirements with the specifications of suitable properties. This is called off-market sales, and it’s a big thing. It’s happening a lot – and we’re going to tell you just how much more it’s happening. It’s a great way for you to reach potential buyers. Now, we’re not cutting real estate agents out in this scenario because they’re still going to be involved. You can still list with an agent, but this gives you the opportunity to connect directly with buyers. The lady behind it is Liane Fletcher who we have spoken to in the past from PropertyWhispers.com.au. Good day, Liane. How are you? Liane: Very well, thank you, Kevin. Kevin: Nice to be talking to you again. This is really taking off. I understand you have $750 million worth of properties that have been uploaded already. Liane: That’s correct. Since we launched seven months ago, $750 million have been uploaded. Right now, we have over $550 million worth of property listed, so $200 million have gone through the cycle. Kevin: Tell me about this. How does it work? How do agents become involved in this, and how do sellers get their property on this platform? 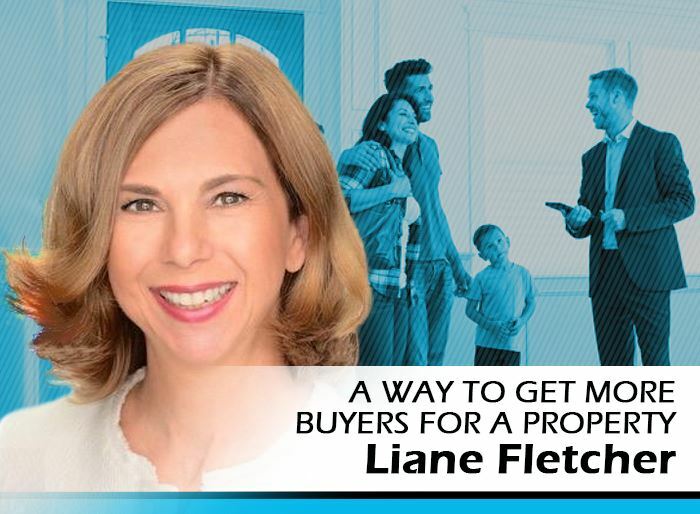 Liane: Agents register their details on the platform, and when they’re meeting with their clients, they offer this opportunity for vendors to sell their property off-market. As your listeners would know, off-market properties are quiet listings, so therefore, they’re not publicly advertised. All an agent needs to do is to take those details of the property – its property type, bedrooms, bathrooms, parking, could have some photos, brief description, and their price range. They upload those details to the platform, and they are matched instantly with those buyers who have registered on the platform and they match those specific requirements. Kevin: Are you able to tell me how many buyers you’ve attracted to the site already? What’s the pool like? Liane: We have thousands of buyers on the platform since we’ve launched, and multiple buyers are registering daily. And that’s nationally as well. Kevin: Okay, so a good audience there. What are the benefits here for the seller? Why would a seller want to ask their agent to list their property on Property Whispers? Liane: Right now, the state of the market is such that clearance rates have come off. Vendors are uncertain as to whether they’ll actually sell their property at auction. So, this is a great opportunity for vendors to list in a quiet manner in the sense that they are not publicly exposing their property, they’re not spending lots of money on advertising, and they’re getting connected with buyers who match their property. There are some vendors who just don’t want their neighbors to know that they’re selling. They may not be pressured on the timing, so they don’t need to have that sell within four weeks. And some vendors just don’t like the process of open homes and getting ready. This way, agents can bring buyers who are qualified, who are matching with their property, through the property when that match occurs. Kevin: We used to call them quiet listings. This is where sellers are not quite sure they want to sell. They just certainly don’t want to go through a big marketing campaign, but they just want it exposed to a database. This is like giving it to an agent who will expose it to the database, but it’s actually an even bigger database with buyers all around Australia. Liane: That’s correct. I think the important thing here is that vendors who do want to sell have an opportunity to be matched with buyers who do want to purchase. The buyers who are registering are taking the time to put their details on this platform, so what we’re finding is that they are genuine buyers who have missed out at auction or don’t like the auction process and are trying to find a way to find a property. A lot of buyers may have known or do know that there are off-market properties and just haven’t been able to have access to those properties. Traditionally, what they do is they’ll try and speak to maybe three or four agents that they know in the area and ask them to be put on their database. But there’s more than that, selling off-market properties and off-market property sales happen all the time. About 10% to 20% of off-market properties nationally are sold every year. Kevin: Does a property have to be listed with an agent to get on the site? Liane: Yes, right now it’s with an agent. Kevin: Fair enough. So, when you’re talking to your agent, you’re selling your property, make sure you mention to them about PropertyWhispers.com.au. Say you want it on that site. It’s not going to cost you anything, it won’t cost the agent anything, but it opens up the possibility for you to expose it to many thousands more people – all potential buyers. Liane, thank you so much for your time.